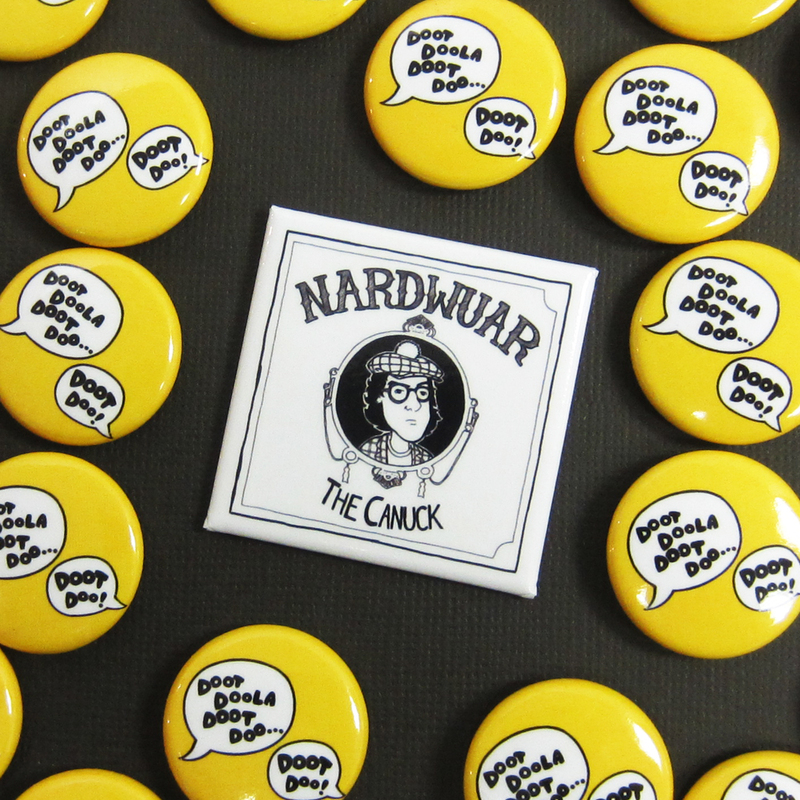 Nardwuar the Human Serviette now has 1.5″ Square buttons. Because of our ongoing relationship with Mint Records, the celebrity interviewer from Vancouver BC is no stranger to the button game, with 1″ pinback buttons always on hand for a post interview give-away or 1.5″ square buttons for his band The Evaporators. Whatever your schtick is, wherever your gig is, whatever the attendance might be; from Vancouver Island to Newfoundland and Labrador, Six Cent Press has your band buttons & magnet back button needs covered. And to all the Canucks in the Province of British Columbia, enjoy your Family Day long weekend this weekend.